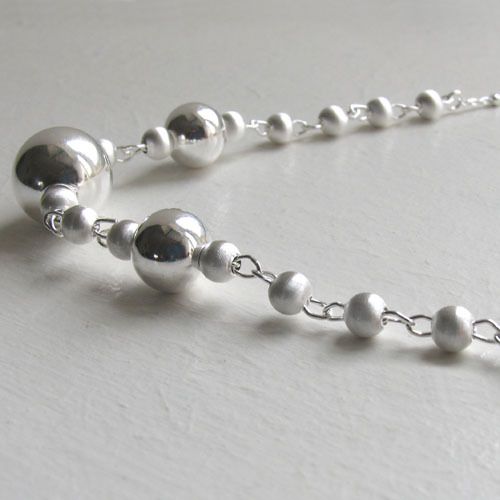 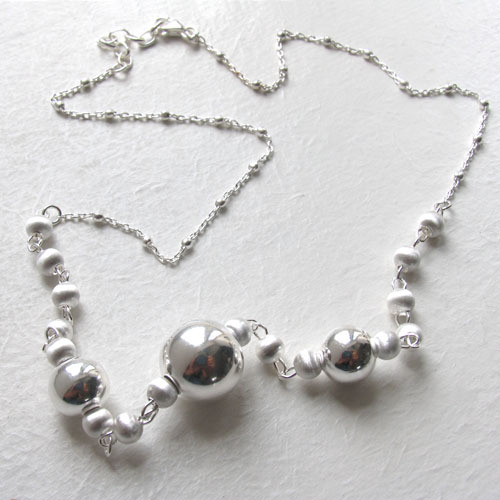 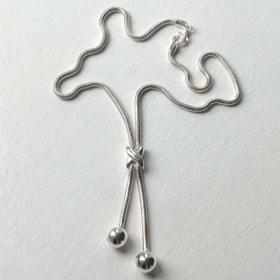 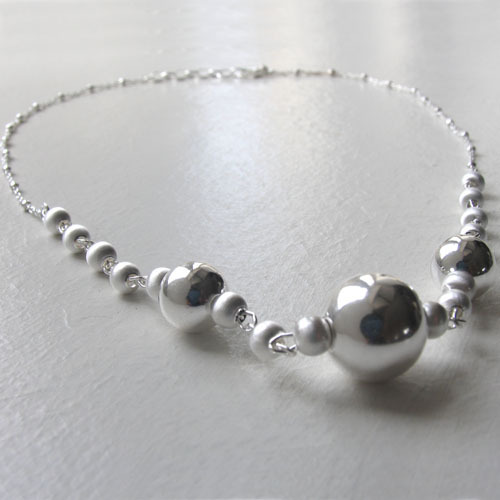 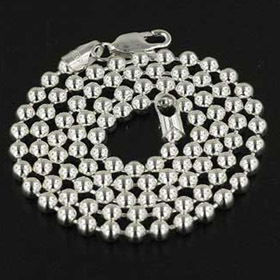 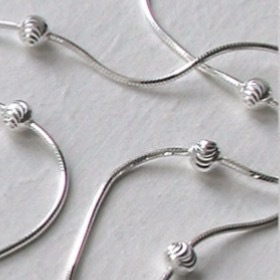 Italian sterling silver balls necklace. 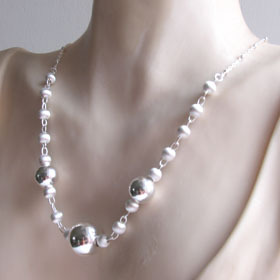 Not only is this a fabulous necklace to wear or to give, it's a steal at the price. 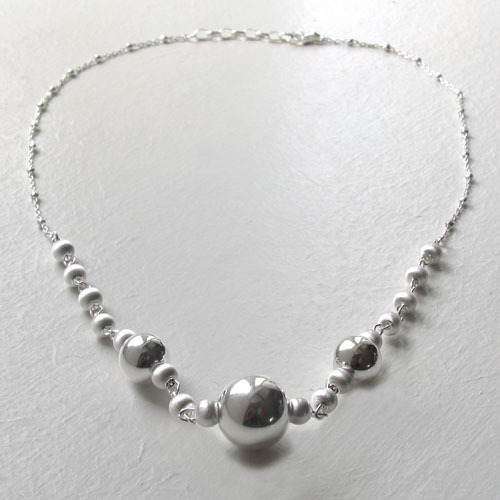 Everything about this silver necklace is a triumph of design and it's fun to wear! 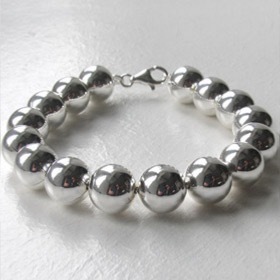 The 3 large silver balls are polished whilst the smaller ones are brushed and look like satin. 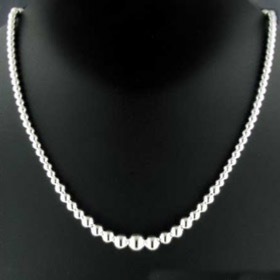 The chain is a pretty trace chain interspersed with tiny silver balls. 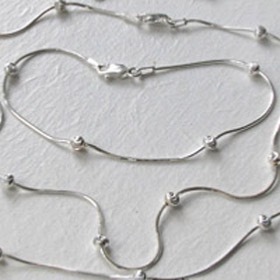 The necklace closes with a lobster claw clasp. 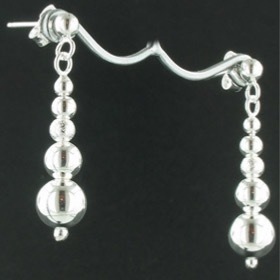 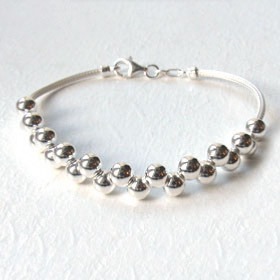 See our silver ball bracelets and silver earrings for coordinates.